The all-new 2012 Infiniti M Hybrid, which goes on sale March 16, will cost $53,700 with a 3.5-liter DOHC 24-valve V6 engine, which paired with the 50 kW electric motor, provides a hybrid system net power of 360 horsepower. The Infiniti M Hybrid features the all-new Infiniti Direct Response Hybrid™ system, a one-motor, two-clutch parallel hybrid design that utilizes precise, high-speed motor control technology enabled by the powerful Lithium-ion battery, allowing power to be delivered directly to the vehicle's 7-speed automatic transmission. Estimated fuel economy is 27 mpg city, 32 mpg highway, with combined fuel economy rated at 29 mpg. The new Infiniti M Hybrid can drive on electric power alone at speeds up to 62 mph and can travel on electric propulsion for up to 1.2 miles at a time. Tests have shown that in mixed driving, the Infiniti M Hybrid is able to drive in electric only mode for as much as 50% of the time. The 2012 Infiniti M performance luxury sedan is also offered in four non-hybrid models, which go on sale March 2, with a starting M.S.R.P. of $47,700 for the Infiniti M37 RWD, $49,850 for the Infiniti M37 AWD, $59,100 for the Infiniti M56 RWD and $61,600 Infiniti M56 AWD. Toyota will launch "#1 For A Reason", a new advertising campaign on Monday to remind people why Toyota continues to be the top brand consumers turn to when buying a new vehicle. Camry, Corolla, Prius, RAV4 and Tacoma will be featured in the commercials and some of Toyota's bragging will include: Camry being the number-one selling car in America for nine straight years with more than 90 percent of Camrys sold over the past 15 years still on the road today; the Corolla sedan holding the title of best-selling car of all time with more than 8.6 million sold in the U.S. since it launched in 1968 and the Prius being the best-selling hybrid in the world averaging 50 miles per gallon. Last week, the Department of Transportation (DOT) released results from an unprecedented ten-month study of potential electronics-based causes for unintended acceleration in Toyota vehicles. NASA engineers found no electronic flaws in Toyota vehicles capable of producing the large throttle openings required to create dangerous high-speed unintended acceleration incidents. The two mechanical safety defects identified by NHTSA more than a year ago – “sticking” accelerator pedals and a design flaw that enabled accelerator pedals to become trapped by floor mats – remain the only known causes for these kinds of unsafe unintended acceleration incidents. Toyota has recalled nearly 8 million vehicles in the United States for these two defects and spent billions. U.S. Transportation Secretary Ray LaHood said, “We enlisted the best and brightest engineers to study Toyota’s electronics systems, and the verdict is in. There is no electronic-based cause for unintended high-speed acceleration in Toyotas." In conducting their report, NASA engineers evaluated the electronic circuitry in Toyota vehicles and analyzed more than 280,000 lines of software code for any potential flaws that could initiate an unintended acceleration incident. Unfortunately, the Egyptian revolt may have buried this news in coverage by the mainstream media who were quick to blast Toyota at the outset of these incidents and do irreparable damage to the Toyota image. The 2011 Toyota Matrix made its debut at the Chicago Auto Show last week with new standard wheels, interior design features and standard Smart Stop Technology. The 2011 Matrix has a base model with a 132 horsepower 1.8-liter DOHC four-cylinder engine and the sporty S grade has a 158 horsepower 2.4-liter four-cylinder engine. The Matrix has earned an EPA-estimated fuel economy rating of 25 mpg city and 32 mpg highway for the 1.8-liter with the five-speed manual transmission, and 26 mpg city and 32 mpg highway for the 1.8-liter paired with the four-speed automatic transmission. Fiat Is Back On Sale In The U.S. - "Life is Best When Its Driven"
The Fiat brand is back on sale at 130 U.S. dealers with 3 editions of the 101 horsepower 1.4-liter Fiat 500 that took Europe by storm almost 4 years ago with sales growing to over 600,000 across the Atlantic. That said, the U.S. edition, made in Toluca, Mexico along side the Dodge Journey, replaces the PT Cruiser at that plant. Two railcars left last Friday for U.S. showrooms. The Fiat 500 has been Americanized to accommodate larger people, longer distances, the automatic transmission preference, glovebox stowage needs, armrest desires, cupholder capacity and more. 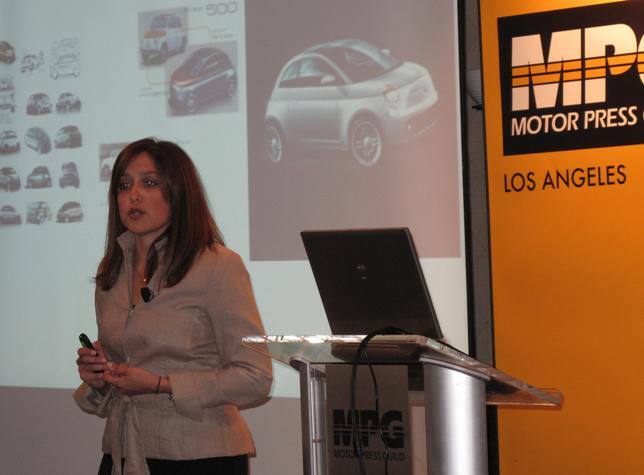 Head of the Fiat Brand for North America, Laura Soave, raised Italian in Michigan, was asked what Fiat stands for and replied - "First In Advanced Technology." Today's "millennials", as she calls them, will have no idea of the "Fix It Again Tony" reputation of the '70's Fiats. The Fiat 500 buyers will have "no brand loyalty and just want something different", according to Soave. The base POP with manual transmission starts at $15,500, the SPORT at $17,500 and the upscale LOUNGE with a standard automatic transmission at $19,500. The Fiat 500 is an A-segment vehicle so technically its only competitor is the smart which has had plummeting sales, but Soave says the Toyota Yaris and Mini are the real rivals. 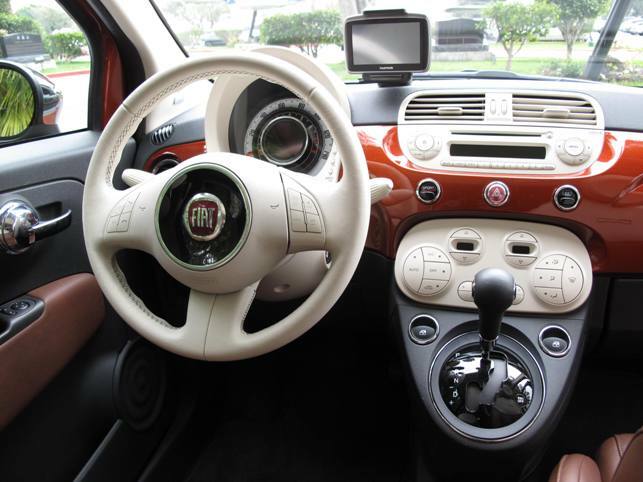 Personalization is the name of the game with 14 interior and exterior colors and about 500,000 ways to make your Fiat 500 special. A Cabrio will be arriving in April, the Abarth and BEV electric next year and a 4-door model in 2013. There are also plans for the Alfa Romeo to make a return to the U.S. market. "Fiat Freaks" who populate 50 clubs around the U.S. have been waiting 27 years for the return of the brand. Social media will be a big marketing channel for Soave and her team to hit the first year sales target of 45,000 units. Ciao for now. 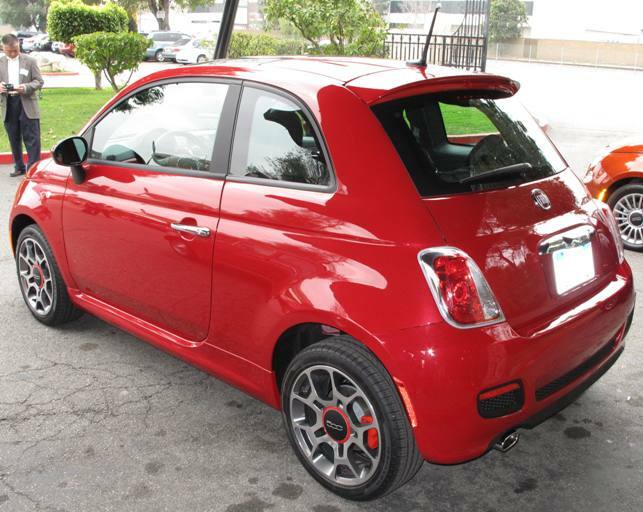 Labels: fiat 500 back on sale in u.s. The newly refined 2012 Acura TL has a new front bumper and grille, rear end, a new Sequential SportShift 6-speed automatic transmission, a revised interior and a host of technology upgrades. The transmission teams with a new multi-clutch torque converter which improves fuel economy to 20/29 city/highway mpg, an increase of 3 mpg in highway driving over the 2011 TL. The TL's standard 280 horsepower 3.5 liter V-6 engine receives a host of friction-reduction technologies. The TL's other engine choice is the more powerful 305 horsepower TL paired with Acura's Super Handling All-Wheel Drive powertrain. Acura sold 34,049 TLs in 2010, a 1.9 percent increase over 2009. In January, TL sales were 1,592 down 19.8 percent from January 2010 so the introduction of refreshed TL comes at a good.time to reinvigorate its target buyers. DealerTrack, one of about 400 large, regular exhibitors at NADA, operates the auto industry's largest online credit application network, offering about 17,000 dealers access to over 900 automotive financing lenders through its credit application network. DealerTrack also offers dealers inventory management tools and services along with a sales and F&I solution to streamline the entire sales process from a single integrated platform. DealerTrack’s Compliance solution helps dealers meet legal and regulatory requirements and their data services division includes Chrome Systems which offers technology and data solutions and ALG for residual values. DealerTrack acquired triVIN, which helps streamline the time-consuming, labor-intensive, and often complex processes of vehicle registration and lien and title management. According to DealerTrack President and CEO Mark O'Neil more acquisitions may be coming. The stock trades under the symbol: TRAK and is trading near its 52-week high. NADA 2011: Honda's Mendel Says New Civic's Importance Is "Huge"
John Mendel, American Honda's Executive Vice President of Auto Sales rev'd up his dealers at the NADA Convention in San Francisco around the new Civic - a concept version was shown in Detroit a month ago with production versions to be shown to dealers in a few weeks in Las Vegas and the public will see it at the mid-April New York Auto Show along with a preview of the new CR-V.
General Motors reported January U.S. sales of 178,896, a 23 percent increase from a year ago for Chevrolet, Buick, Cadillac and GMC. Retail sales were 36 percent higher than a strong January a year ago. Ford’s total January sales (including fleet sales) were 127,317, up 13 percent, including a planned 27 percent decline in sales to daily rental companies. Toyota Motor Sales, U.S.A. reported January sales of 115,856, up 17.3 percent over the year-ago month. The Toyota Division had sales of 102,996 units, an increase of 23.7 percent over the same period last year and the Lexus Division reported sales of 12,860 units, a decrease of 17.1 percent from last January. American Honda posted January sales of 76,269 vehicles, an increase of 13 percent. Honda Division posted January sales of 68,308, an increase of 13.2 percent versus January 2010. Acura with 4,268 units sold was up 32.1 percent. 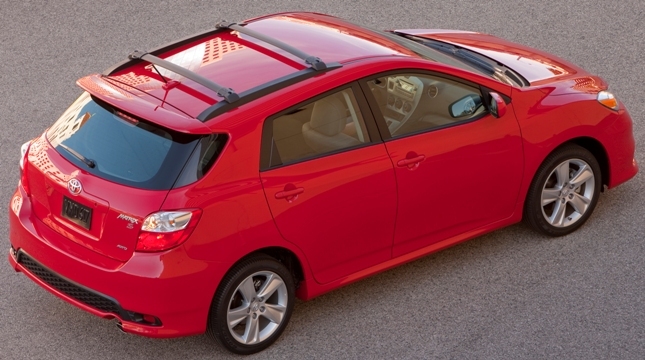 Nissan North America reported January U.S. sales of 71,847, an increase of 14.8 percent. Nissan Division sales were up 15.4 percent for the month. Sales of Infiniti vehicles rose 10.3 percent over the prior year. Chrysler Group reported U.S. sales of 70,118, a 23 percent increase compared with sales in January 2010. Kia Motors America announced record January sales of 27,789 units, a 25.6 percent increase over the same period in 2010 and besting the previous January record of 22,524 set in 2007 by 23.4 percent. Volkswagen reported 18,401 vehicles in January 2011, a 2.1 percent increase over prior year sales. Separately, Audi reported record January U.S. sales of 7,812, a 20 percent overall increase from January 2010. The previous January sales record for Audi in the U.S. was the 6,510 vehicles sold in 2010. Subaru of America reported record January sales of 18,858, up 21 percent versus January 2010. The BMW Group in the U.S. (BMW and MINI combined) reported January sales of 18,656 vehicles, an increase of 21.1 percent from the the same month a year ago. Mercedes-Benz USA sold 17,273 vehicles in January, a 14% increase over January 2010. Mazda North American Operations reported January 2011 sales of 14,267, a decrease of 9.1 percent versus January of 2010, primarily due to a substantial reduction in fleet sales this month. Mitsubishi Motors North America reported January 2011 sales of 5,714 units, an increase of 37 percent compared to January 2010. Jaguar Land Rover North America January U.S. sales for both brands totaled 3,206 units, up 24 percent from January 2010. Jaguar sales were 935 units, up 48 percent from January 2010 and Land Rover sales were 2,271 units, 16 percent up January 2010. American Suzuki sold 2,562 vehicles in January, a 26 percent rise over January 2010. Blog will be updated as manufacturers report.